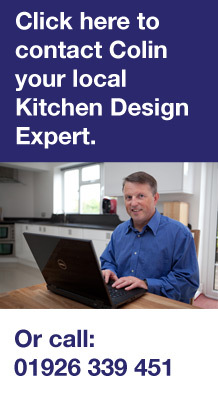 Cora, is an elderly lady who wanted a new kitchen without making too many changes to the original layout, so she could continue caring for her partially sighted husband without changing the position of her appliances etc. Cora decided on a gloss laminate worktop with a PVC wrapped white door. 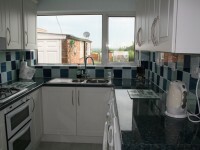 The kitchen included all of the appliances, as well as tiling and decorating.